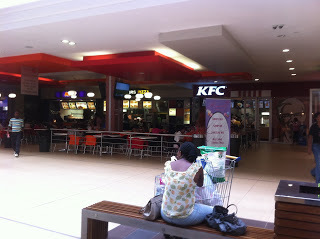 Lineo had heard that the mall was offering free public wifi to customers of the mall. So she took the initiative and invited as many of her Maseru colleagues as she could and headed to the mall with this tweet. Lesotho has not enjoyed good internet access until relatively recently. Both the cost and the quality of the broadband available is tenuous at best. This may be begining to change as 4G starts to get rolled out to the capital. Free wifi is also a concept that is not seen as necessary for public buildings, most likely due to cost. The small group of three experienced and three totally new OSM users set about their work in Rural Task 2. They sat in the food court and soon completed several tiles. Special mention goes to to the new user Thakyla who completed a 2km x 2km hotosm tile on her first sitting. The mapping finished only when the laptops ran out of charge. 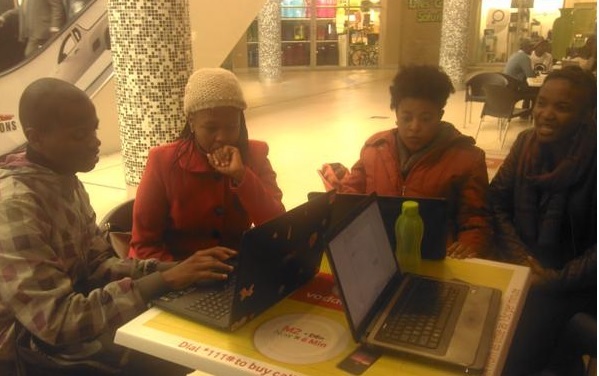 There was nowhere within the mall to charge a laptop, which shows that there is still some progress to be made in the understanding of different public needs for wifi. If anyone wants to help this they can email the Pioneer Mall here and suggest better facilitation of laptop users. 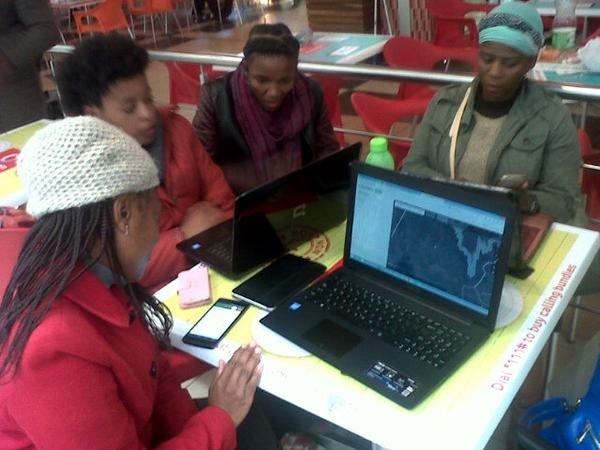 This is a significant day in the history of #MapLesotho as it is the first ever Guerilla gathering of mappers organised spontaneously and totally down to Diny!